Auxiliary members Anne Behrens & Mary Birchmore. 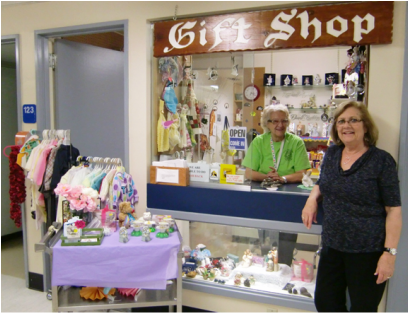 The Auxiliary has a wonderful gift shop at Fraser Canyon Hospital with a lovely assortment of gift items, snacks, knitted & crocheted articles, etc, for patients, residents, staff & visitors. And remember, the money you spend helps the hospital, patients and residents. Craft donations are always welcome.